By 2020 the UK is aiming for 20% of its overall power generation to be contributed renewable energy bring the UK in line with the rest of the world. Wind power, or air flow, can be harnessed to run wind turbines. The most popular for commercial use are turbines with rated output of 1.5-3 MV however utility-scale wind turbines are rated from around 600kW to 5MW of power. Wind power is growing at a rate of approximately 30% pa, with a global installed capacity of more than 280,000 MW. Solar energy can be harnessed using a range of technologies such as solar heating, photovoltaics, concentrated solar power, solar architecture and artificial photosynthesis. Depending on how the solar energy is captured, converted and distributed, solar technologies are generally classed as passive solar or active solar. Tidal energy is a relatively new renewable source and harnesses hydropower to transform energy from tides into electricity. In the UK alone the wave and tidal industry has been forecast to create almost 20,000 jobs and be worth £6.1bn. The Government and European Union are backing new world class technologies that are being built and installed in U.K waters. 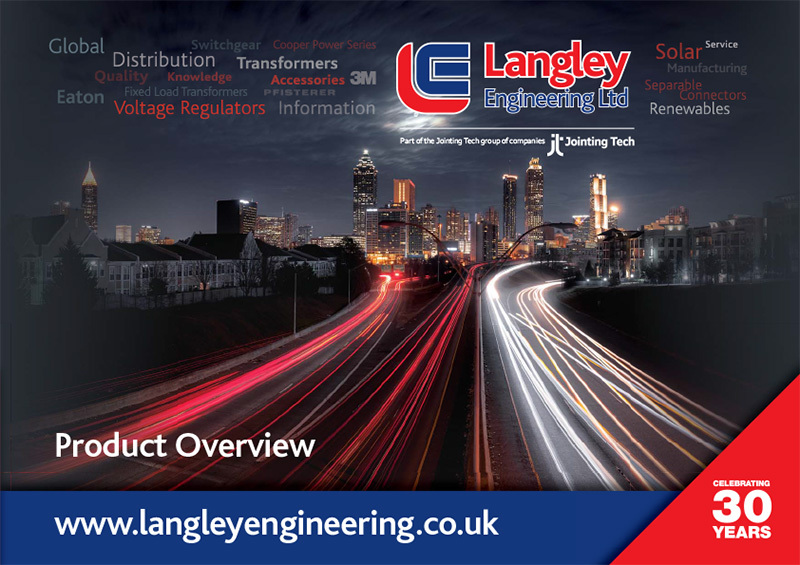 With a comprehensive range of separable connectors (to suit A, B, C, D and E type bushings), innercone terminations and coldshrink terminations and joints, Langley Engineering are able to offer all possible 11 & 33kv connection solutions. With the added ability of being able to manufacture premade cable leads for LV and MV applications Langley Engineering offer a unique solution to high demanding installation time schedules. With almost zero investment before 2011, the UK solar industry has received almost £6 billion in funds over the past three years and a further £5 billion is expected by the end of 2016. Including large scale solar (>5MW), investment into the solar market is expected to outweigh both onshore and offshore wind.